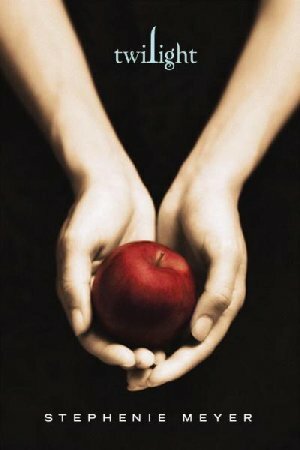 I finally got on the Twilight bandwagon last month and listened to the audio book in time for the film’s release. I still haven’t seen the movie, and I’m conflicted about the book. When I’d finished it, I immediately wanted to read all the others (and I just finished New Moon). I finished listening to it pretty quickly, I couldn’t turn it off. Then once it sat with me for a little while, I started to feel a little indignant that I was so taken with Bella Swan and Edward Cullen at first. 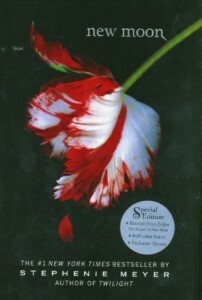 There are things about the book that are beyond ridiculous, and I was puzzled about their reasons for being together. Bella is always telling Edward how great he is, and most of the time it seemed like he was just telling her how much he wanted to eat her. Was that the only reason he loved her? Because she smelled delicious? I read online somewhere that Stephanie Meyer had been planning a version of this story told entirely from Edward’s point of view (this is told from Bella’s). There are rumors she scrapped it completely when details started leaking on the internet, but I am desperate to read that book. I think that’s how I would be able to confirm whether or not I loved this one. Edward never seemed to tell Bella the reasons why he loved her, and I want to know what’s going on in that head of is. I will say I preferred New Moon. I thought it was a more interesting story, and I can see the conflicts that will build through the remaining 2 books. Is it strange that friendly vampires, a werewolf pack, and a girl who is immune to vampire talents all ended up in the same small town in Washington? Not in a teen romance, I guess. It does make for lots of angst and drama, and in this book I thought it was much better than Twilight. The angst in the first book left me cold after I’d read it and processed it. This book has more going on, it moves along faster, it focuses on Bella and Jacob Black’s relationship, it has an international climax, and it fleshes out more details about the vampire world and all its friends and enemies. A major villain (at least one, possibly more) is introduced here, and I left this book anxious to see how that danger would unfold.